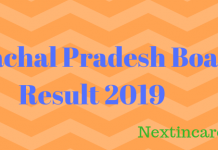 MBOSE SSLC Result 2019: The SSLC exam of the Meghalaya Board will be conducted tentatively from 1st to 3rd week of March 2019. The Meghalaya Board will conduct class 10th Secondary School Leaving Certificate examination in the month of March and April. There are around 50 thousand candidates who take the examination. The MBOSE result 2019 for all affiliated schools of Meghalaya Board for class 10th will be released in the month of May 2019. The Meghalaya Board of School Education was established as per the 1973 MBOSE Act. The board controls, regulates and look after the matters associated with school education in the state of Meghalaya. It also conducts examinations for SSLC students. The Meghalaya education board also provides regular as well as distance education to the students from class 8th to 12th for the schools that are affiliated to MBOSE. The Meghalaya Board of School Education (MBOSE) which is the exam conducting authority will be releasing the results of all candidates who have taken Meghalaya Board SSLC examination. The results for those who have taken the examination will be declared in the online mode on the official website of MBOSE i.e. http://results.mbose.in/. Candidates who have taken the exam will be able to view their MBOSE results 2019 with the help of their exam roll number. With class 10th scores, candidates will be able to know their performance and also choose the stream for class 11th and 12th. Go to the official website of MBOSE. Click on the link to appropriate result: Secondary School Leaving Certificate Examination 2019. Enter your Roll No and other required details. The class 10th and 12th result will be displayed on the screen. Candidates who wish to check their MBOSE SSLC result 2019 in the online mode will be able to check it via SMS. Class Xth candidates have to type <MBOSE10>space<Roll Number> and send the text to either 56263 or 5676750. They can also type <MG12A>space<Roll Number> and send to 52070. Class 10th SSLC exam is one of the first and important examination that the candidate takes during his/her school years. After the results have been announced, the candidate must take a print out until the original mark sheet is issued by the school. In case the official website of the Meghalaya Board is not working, the candidates must not panic. We will provide the exam result links here.